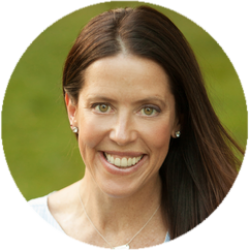 Shannon Fable, 2013 IDEA and 2006 ACE Instructor of the Year, is the VP of Learning Development and Product Innovation for the FIT4MOM® franchise. For more than two decades, she has helped impressive brands such as Anytime Fitness, Schwinn®, Power Systems, ACE, Silver Sneakers, and BOSU® as a fitness business and programming consultant. An experienced educator, freelance writer, and certified Book Yourself Solid® Business Coach, she helps fitness entrepreneurs navigate the industry and make more money. Fable serves as the Chair of the ACE Board of Directors and is the founder and co-owner of GroupEx PRO®, a cloud-based group fitness management tool.